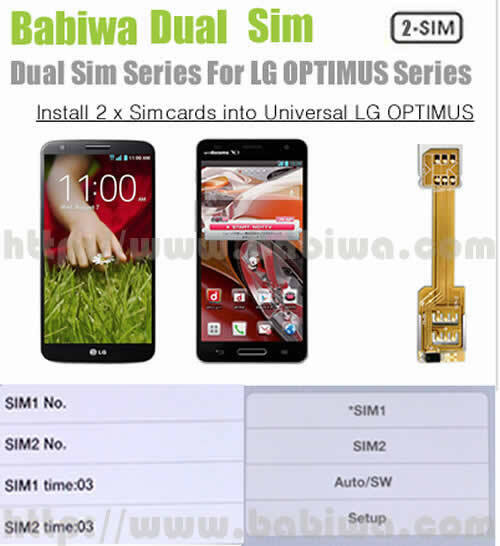 Newest BABIWA© magicsim series Dual Sim Card Adapter Supporting LG OPTIMUS Series Mobile Phone,including LG OPTIMUS G2 series,OPTIMUS G Pro series,OPTIMUS G series,OPTIMUS GJ series, e.g. G2, G1 , D802, D802TA , D803, E975, E973, E971, F180, E960, F240L, F240, L-04E, E980 etc ...(Support Any Universal or Worldwide Version). 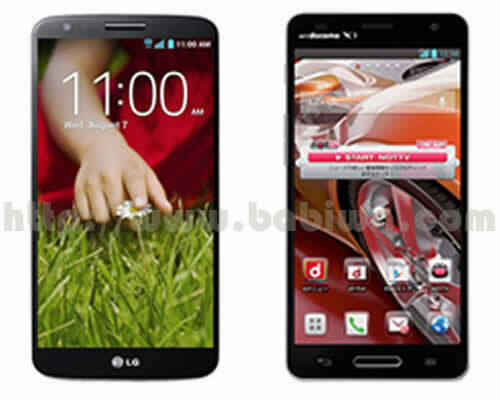 Non-Cutting Type.Let your LG OPTIMUS Phone install two simcards . The only Genuine Supplier now ! A Must-Have Interesting Accessory for LG OPTIMUS Series Mobile Phone. 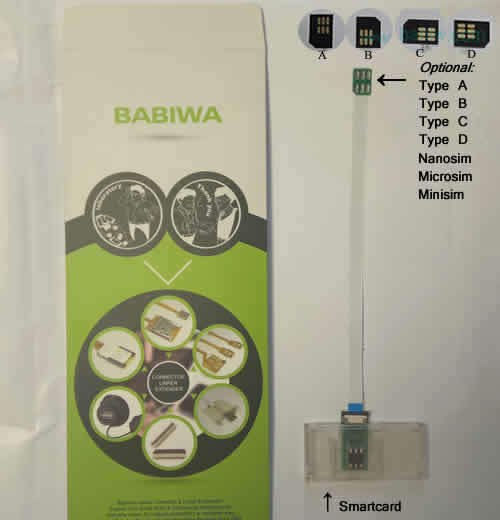 Genuine BABIWA© magicsim series .This adapter's embedded program is revised for LG OPTIMUS series Mobile Phone . Universally Supporting Any version released to Any country or area. Unique Design !! Let your LG OPTIMUS series mobile phone Install Two Simcards and You Get Two Call Numbers from the embedded menu for your Free Choice Conveniently and Easily without power on or off to change sim card as before! 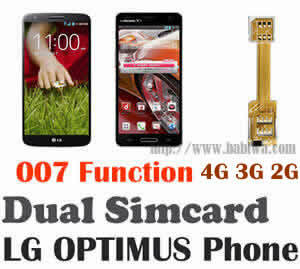 Very simple operation, Easy Plug & Play to Let your LG optimus phone get Two SIM Cards available in single one mobile phone within seconds. 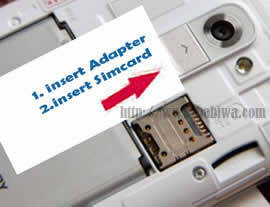 Support Universal LG Optimus Series Mobile Phone using Smaller Micro Simcard Slot or Micro Simcard POP-UP Tray. Note: if your phone is using regular size simcard(mini simcard) instead of smaller micro simcard ,then please click here to order this type BW-3GC(for regular size mini simcard). We release two types of dual sim adapter for LG Optimus series Mobile Phone. Support Universal LG Optimus Series Mobile Phone using Micro Simcard Slot or Micro Simcard pop-up Tray. Note: if your phone is using normal simcard(mini simcard),please click here to order this type BW-3GC. 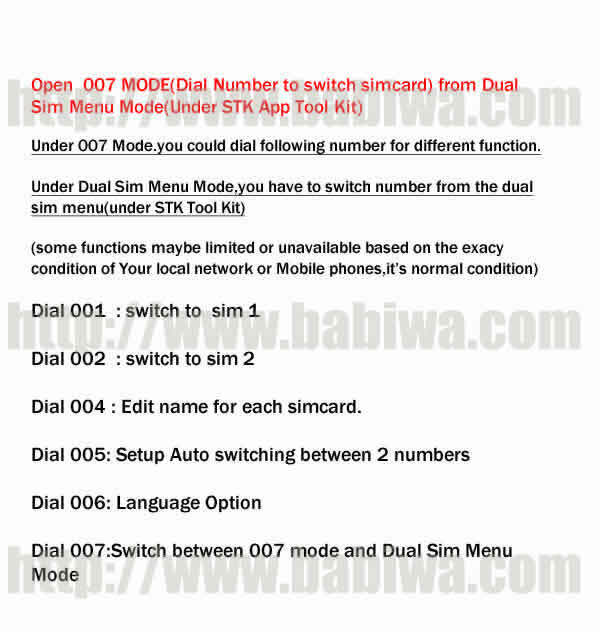 For BW-L2P-05K BABIWA© magicsim series , Special "Dial-to-choose" function Added !this function is also called 007 Function.You could use this dual sim adapter by just dialing the short number as 001,003,007 etc,in additional to choosing from the embedded STK Menu.More convenient and easy for new user !Protect SIM card against loss and damage.After installation,your original STK MENU Function and Your original Call-record will be remained without lose. Any official Android version supported as long as your LG Optimus phone could use the original Simcards normally.so if one sim card could be used in your phone normally,then it should be ok with our dual sim adapter. 1. make sure your LG Optimus Mobile Phone are using smaller micro simcard Slot or micro simcard Tray (as Optimus G2,G,G PRO,GJ etc). Note: if your phone is using regular size simcard(mini simcard),please click here to order this type BW-3GC. 2. Make sure Your Optimus phone's Micro Simcard Inserting Direction (to be pushed into micro simcard slot or placed into micro simcard tray) should be like the pic below(as Optimus G2,G,G PRO,GJ etc). Place the adapter's sim1 end into your phone's micro simtray,make sure the adapter's sim1 end's bevel angle same as the sim tray. Then Press your simcard on the sim1 end now, make sure your simcard's metal face connects with the Sim 1 End's front face(with six raised points). Then you need to fold the adapter's wire and make it extended from the phone's simtray. Insert the adapter's Sim1 End into the mobile phone simcard slot At First, Then insert your micro simcard into the slot later. Step 4:Now You can Insert second simcard into this adapter's sim2 slot.